The amplifying feedback of ice and melt, already quite large according to the above, will increase significantly as Arctic summer ice largely disappears by mid-century or earlier. Ice melt and release of CO2 and methane by warming oceans and melting permafrost were amplifying feedbacks which caused ancient climate oscillations to be huge, despite the very weak orbital forcings operating on time scales of tens to hundreds of thousands of years. And now we have a strong and rapid forcing and ice melting all over the planet and methane beginning to escape the permafrost. Much earlier. Using the PIOMAS mean volume ice loss trend, summer ice is zero by 2034-2035. Using the one standard deviation below mean trend, it’s gone by 2029. Using the two SD below mean trend, it’s gone by 2024. I’m not sure there’s any reason to think we aren’t seeing a negative departure from the 1979-2016 trend, given all the positive feedbacks that are coming on line, with prejudice. So maybe sometime between 2024-2029 we have open ocean in the Arctic in September. The world becomes a different place when this happens. Thanks, Yvan. There’s definitely a lot of conjecture RE near ice free states. But the point about Maslovski is helpful so I’ll edit accordingly. It’s a good one. I’ll try to post it once it’s updated to include the present year. Robert, that quote about facts was spoken by John Adams, not Sam Adams and it was spoken at the trial of Capt Preston and his men accused of murder of Boston civilians, what we call the Boston Massacre. It was no massacre but was a publicity gold mine for Sam Adams and the Sons of Liberty. John Adams defended the British soldiers and won the case by introducing reliable testimony and facts. I see no problem with this though…. Something to keep an eye on — large warm up predicted for Greenland in the 15 day time-frame. 20 C + above average anomalies in some locations. If this is the start of a summer trend = one of those not-good things. Thanksfor the history, Dave. I have always wondered how much of history I have read is a process of propaganda opportunities used at the time and buried facts. I wonder that about modern events as well…. Sam Adams was a mediocre brewer but he had a gift for propaganda. Revere, Adams, and Warren first called the shooting a “massacre”. Then they put newspapers publishing their account of the event on a fast ship to England so that the first news reaching the “mother” country was their account. They beat the official report by 3 weeks and had their version of events spread far and wide in England. They were good at the game. There is also a rather factually correct miniseries on John Adams that covers some of the activity by Samuel: https://en.wikipedia.org/wiki/John_Adams_(miniseries). I saw your post on the previous thread about Calif rains. It started raining again last night. 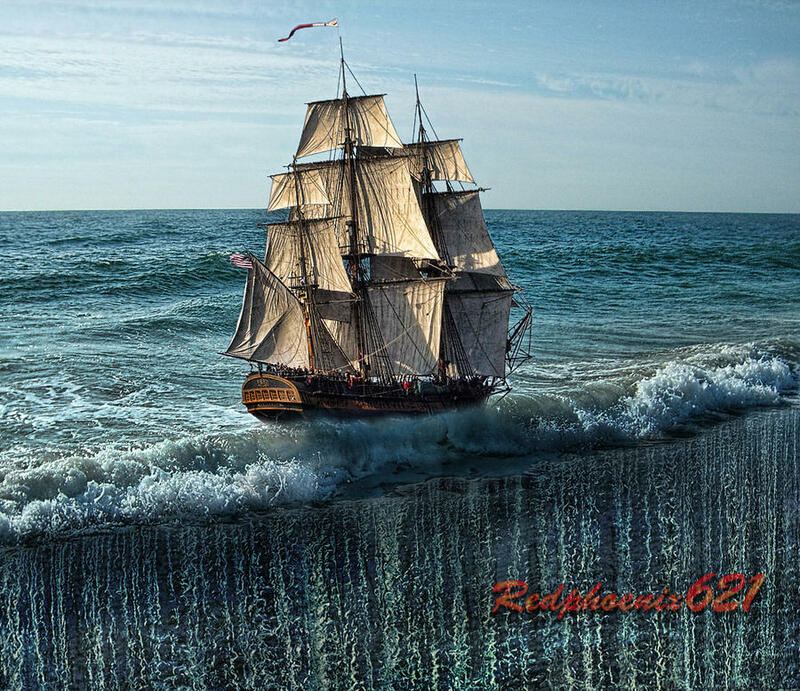 I suspect that is what many Republicans believe when they see a ship go over the horizon and disappear. Some of them are smart enough to figure it must be the top of a hill. Yep. another one is coming in . You will need every drop . What gift in a time of theft. A winterlike storm that brought heavy rains and wind gusts up to 83 mph to the Bay Area caused damage throughout the region, including a mudslide in Oakland that forced a handful of evacuations and several reports of downed trees and power lines, resulting in power outages for least 100,000 homes and businesses. To everyone I ever hurt , offended , or snubbed. here. I am a fool . Like all of us. This is the hardest thing we will ever do. And it all begins now. The great thing is my liver explodes, and you carry the loads. The ice cores record the Romans refining lead in Spain. What world, what a time. what a place. What a bankrupt time of grace. We all swim in the tears of the Earth. we are all too blind to see this is not the sea. Lester Brown in a lecture said that we were vulnerable to a crop failure such as happened in Russia in 2010 and that if that happened in USA the effect would be very hard to manage since USA produces much more than Russia. Does anyone have a view on this? Is it true that the USA Naval research predict an ice free arctic in September 2016 +/- 3 years? Lot’s of info on this–here’s one news feed. I find myself more and more studying the older news reports on contemporary topics to gauge the ‘likelihood’ and ‘accuracy’ of the predictions. Many are like watching a dart board bullseye throw in reverse:board, air, hand. Unsurprisingly, those predictions ( if ventured) are usually based on painstaking and careful study of data, trend and inputs and usually reflect the beauty and incremental learning that the scientific method brings. Many have been taught that these details and precise evaluations are unimportant. In today’s ‘screen’ world, events, discoveries and learning arrive like a vintage slide show-one after another- and hence, important continuity is easily lost. We exist in continuity and become confused without it. We’ve also been overwhelmed by ‘market’ (business) people whose fact sets are entirely influenced by ‘market forces’ which of course IS an explanation, but no matter how hard the MBA’s and economists try, nobody (not even the CRAY 1 super computers) has any clue what the market is going to do. It’s a magnificent level of chaos but without this shroud, great profits and market share and dominance could not be attained. I’m in my 6 decade now and lament the rise and rise of the loose talking, hoodwinking, truth-bending types who found such a welcoming reception in the ‘business’ world. Their willing ignorance and acceptance of imprecision annoyed me years ago as it does now and I wonder how they ever came to lord over our planet; ‘their very soul ( currency, profit, dividends)has no equivalent in nature and they have demonstrated beyond all doubt that they are devoid of any supervisory or leadership capability with respect to managing and protecting our natural systems. I have no problem with commerce, but a big part of the reason we are discussing the ‘arctic’ and its demise, is that the ‘business’ types naturally found a way to dance around the now irrefutable facts that appeared years ago about what would likely happen and eventually did. Hopefully, the citizens of the ‘ship’ can soon agree that a new ‘management team’ must be installed as the current ‘managers’ have made a whopping mess and yes, we will hold them accountable. All Earth based systems have consequences from inputs. Pretending they don’t has gone on way too long and is just more dance. PS Imagine ‘Isaac Newton’ as a used car salesman on commission only. Thanks for this discussion, Mark. All too important for the present day. Commerce and trade may well be the engine for economic and political systems — but it tends to make a very bad steering wheel as we saw in the gilded age and are seeing again now. I am not sure, but I have begun to wonder whether the US is in some kind of early food stress in spite of what I read are good or even high global stocks. Not from anything I see in the press, but from noticing that in the last couple of years food on the shelves here in a flourishing city is getting older and older. For example, flour with an expiration date of 1 1/2 years or more hence, having to throw away more and more old grains. Too old food will kill you, being a matter of time. Of course, there could be many other reasons, but the trend is not good no matter what. Thanks for the reference. “Declining income” is a pretty bland statement given the drop off a cliff in net farm income beginning about 2012. From 120B to 60B. I am not a farmer so I do not know how they can handle swings of that magnitude, not to mention forecasts of same. To crib from Hercule Poirot, mon estomac dearly hopes that line on the graph does not continue down. For the first question — I hate to say that it’s not predictable. At least not in the sense that you can say how soon an event like that which struck Russia will occur in the U.S. There are, of course, factors of geography to consider — a large portion of Russian cropland sits on old peat bogs from thawed permafrost. This creates the productive soil but it also produces a land form that is vulnerable to burning when it thaws too much — which can amplify the effects of a long-term heatwave. So the potential for an extreme event producing an outlier effect is a bit greater in Russia. That said, the U.S. breadbasket sits on a region that relies on a certain range of temperatures to remain productive. At the present 1.2 C warming there is the potential to see single events that collapse significant portions of that production (10-20 percent or more) during single or multiple years. La Nina (primarily strong La Nina periods) increase the risk of this kind of event (according to the general science on the matter) by moving the tendency for ridging in the Jet Stream toward the Central U.S.
We can probably say that we’re likely to experience a considerable disruption to U.S. agriculture in the Plains States due to warming about once in the next 10 years and perhaps as much as twice. Such events would probably be comparable to the 1988 and 2012 droughts — which notably occurred 24 years apart. Now, with warming over the next 10 years likely to produce 1.35 to 1.4 C global temperatures, the incidence of such events will tend to increase and the potential for a worse event than 2012 is now a considerable possibility on a 1-20 year time horizon. But what we cannot accurately predict is how resilient present day farming methods, back-stocks, and related water security will be in such a situation. The Central U.S. drought during 2012 — which sporadically halted Mississippi River traffic — gives us a decent corollary for consideration. The drought was preceded by extremely severe rains and produced a notable disruption to U.S. agriculture. A large swath of the Central U.S. experienced more than 20 days of above 100 F temperatures during this time — creating a very rapid drying of soil and rivers. The disruption to crops during this event was considerable — with about 200,000 acres failed or in which planting was prevented due to the heat and lack of water in Colorado alone. The risk is that you will eventually get into a situation where you have bad years followed by worse years in the next two decade time horizon and that eventually, large subsets of the region become non-productive as it simply becomes to hot to grow traditional crops outdoors and as water stress worsens. The 2012 event is also a corollary in that we can tend to expect most of the moisture to come down in shorter, more intense bursts — so you get disruptions to agriculture on both sides of the hydrological scale as the tendency moves more toward flood then drought, drought, then flood. Recent events in California are a good example. But this tendency is now quite widespread. For the second question — yes. 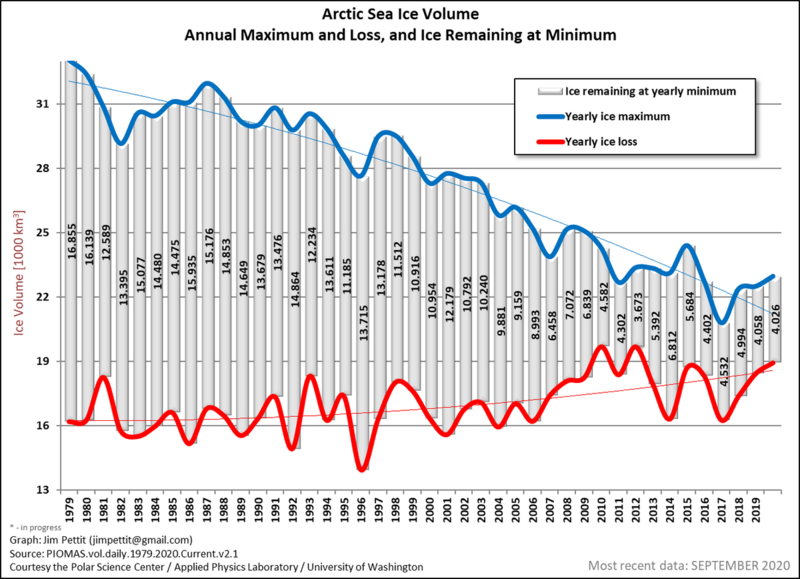 A U.S. Navy model did predict an ice free Arctic in the 2013 to 2019 timeframe. My personal opinion is that a bad summer this year could do it if the weather stacked up in all the wrong ways. More likely is that we’ll see an ice free or near ice free year by or before 2022 and almost certainly before the early 2030s. At around 1.5 to 2.5 C, the glaciers start to become more involved and you get ice berg and fresh water lens cooling of the ocean surface near the release points and in regions where ocean circulation is disrupted. This may produce a bit of a bounce-back for sea ice as sea level rise rates start to ramp up. So we’ll need to watch for that as well. When/if such events occur we should be very clear that this is due to heat exchange in a warming and destabilizing climate system — not due to cooling (which is what the deniers would argue). I do wonder about the balance between increased arctic albedo (if the increase in summer clouds assumed by the models continues not to happen) and the fresh water lens from the melting Greenland. Could make for a very violent North Atlantic/Greenland Coast/Arctic Ocean interface. That’s a serious concern, Roger. Same story, different source, on the “Atlantification” of the Arctic. The speed of the changes are eye popping . Even to us that have followed this for a long time . Just WOW ! During the 2012 melt event, there were a lot of people in the Arctic sea ice community who were mocking those of us who were concerned about warm water upwelling and its effect on sea ice. During the present melt event, the mocking has grown silent as the movement of this warm water layer and its effects on sea ice have become more evident. Snowpack produces a thermal layer that protects soil from freezing and provides a pulse of nutrient-rich water in spring. Climate forecasts for Maine indicate 20–60% reduction in snowfall by 2050. In January 2015, we initiated a snow-removal experiment in Old Town, ME to investigate the impact of snow loss on forest soil conditions. Snow removal significantly lowered winter organic horizon temperatures by 2 °C on average. Soils in snow-removal plots were 25% wetter during the vernal transition because precipitation was not intercepted by snow. These rain-on-soil events caused the formation of concrete frost, delaying soil thaw in snow-removal plots. Our results provide evidence that snowpack loss increases soil frost and can also increase soil moisture, potentially altering biotic function within a coniferous forest type. Many interesting effects of altering our biosphere . Staggering indeed. Thanks for posting, Andy. Thanks, just RTd that one. Thanks, just noticed my notifications light up as a new pulse of people are retweeting it. Glad to see the number of your followers has increased substantially over the last couple of years! 🙂 Thanks, have been working relentlessly on that. These indigenous communities always suffer while the well off politicians ignore them and hand over money to corporations and billionaires. The conditions in some of these small villages are horrible, e.g. raw sewage in the rivers where they keep their boats, and drinking water supplies threatened. From start to finish, the story of climate change is inextricably meshed with the story of systemic harm caused by inequality. If wealthy fossil fuel corporations hadn’t tried to delay responses to climate change for so long, hadn’t attacked the renewable energy transition for so long, then climate change would not be as far along or as intense as it is today. And because we are so far along, the poor are the first to suffer. It is denial on top of denial — a kind of blind denial of the plight of the poor and, lately, the public, and denial of the problem of warming itself. The self delusion is as shocking in its complete and utter fixation among a certain class as it is an immoral atrocity. A civilization cannot function when inequality rises to such extremes. You swiftly end up in a state of tyranny and rebellion. DMI has it the same as last year. Who is more accurate? Considering the fact that the Arctic has been considerably warmer, overall, than last year, I’d say PIOMAS. PIOMAS has a pretty good track record so far. But we should be clear that both of these are model assessments. DMI isn’t looking great in any case, as it’s showing near record lows in volume as well. So not a very pretty cherry. Hey Mr. Scribbler, could you explain how the Freezing Degree Days chart is supposed to be interpreted? While I intuitively know that there are more days above freezing, I’m not really sure what the y-axis really represents. The fact it has the Celsius symbol is honestly making me think that the Arctic reaches above 3,500 C over the spring, which of course it totally ridiculous. What you’re seeing is the magnitude of freezing degree days in the chart. The measure is a function of how far below 0 C temperatures go on a given day then accumulated over the freezing period from September through May-June. In other words, a Freezing Degree Day measure with a value of zero shows an average of temperatures at the melt point over the period measured and if after 100 days, you get 3500 freezing degree days, then the average daily temperatures during that 100 day period were -35 C.
The freezing degree day measure is a good proxy for the health of sea ice because it captures the average cold season temperature for the entire Arctic — much of which includes the Arctic Ocean. A little off topic but worth an update : NOAA Coral Reef Watch’s (CRW) daily 5-km satellite coral bleaching heat stress monitoring products and Four-Month Coral Bleaching Outlook indicate that in the central equatorial Pacific, bleaching heat stress continues to build. The Austral Islands are now at Alert Level 2 bleaching stress (associated with widespread coral bleaching and significant mortality), and the Southern Cook Islands are at Alert Level 1 (associated with significant coral bleaching) – with an expected escalation to Alert Level 2 stress in the next 1-4 weeks. Alert Level 2 conditions are also expected in the Northern Cook Islands, the Samoas, Wallis & Futuna, Northern Tonga, Southern Tonga, the Tuamotu Archipelago, the Society Archipelago, the Pitcairne Islands, and Easter Island, Chile in the next 1-4 weeks. Alert Level 1 bleaching stress is anticipated in the Southern Line Islands, Tuvalu, and the Marquesas Islands in the next 5-8 weeks. https://coralreefwatch.noaa.gov/satellite/analyses_guidance/global_coral_bleaching_2014-17_status.php … The outlook doesn’t look good for several areas . Thanks for the update, FX. For me, personally ,this is one of the toughest aspects to watch unfold . Such a vast array of life is affected. Just brutal . Life adapts and evolves to survive in a certain range of climate thresholds. Change that, and you’re basically pushing many of these creatures out of the airlock. Some of the more versatile and mobile and hardy can survive these kinds of insults until they get more extreme. But many others cannot. And the corals are among the most sensitive. We have entered an era of much simpler and much less varied life forms. What we don’t exterminate with our hands we will exterminate, are exterminating through climate change, population pressure, environmental toxins, habitat destruction…. humans have been catastrophic for non-human species for at least 100,000 years, ever since we evolved modern brains. E.O. Wilson got it right; I just hope we can collectively see the wisdom of and implement his plan before it’s just us, roaches, and jellyfish. Half of Earth for wilderness will certainly help. But it won’t matter a bit if we don’t stop burning fossil fuels and transition to renewables. Beginning the project, the team had their own assumptions about what the top solutions would be. “They turned out to be completely wrong.” McCaffrey says. “Some of the top ones are actually things like girl’s education and family planning, reducing food waste, and moving to a vegetarian diet. Many of the solutions also relate to forestry practices and agricultural practice, so they’re not just looking at reduction of greenhouse gases, they’re also looking at ways to sequester carbon through agricultural practices, storing the carbon in soil and in tropical trees,” says McCaffrey. The solutions are largely “no regrets” solutions, entailing actions that make sense to take regardless of their climate impact since they have intrinsic benefits to communities and economies. The initiatives improve lives, create jobs, restore the environment, enhance security, generate resilience, and advance human health. Drawdown is the point at which natural processes can start to kick in and absorb the carbon in the atmosphere and sequester them naturally. Did You Join The Women’s March? You Just Won An Awesome Award. The march just won a “Freedom of Expression Courage” award. Nice. There were about half a million winners alone in DC and hundreds of thousands more around the world. Probably the largest coordinated march ever planned. Is there any site or graph that you are aware of that shows the volume in 3D or similar. In other words the depth would be the ‘Y’ axis and the coverage shown either as just an ‘X’ axis somehow, or able to be done as a pseudo ‘X’ and ‘Z’ axis? I presume the real thickness is where the multi-year ice is, but I’m unsure how to see where most of the volume is disappearing from. Is multi-year ice simply getting less thick, but covering the same surface area, or is it disappearing altogether therefore making any future re-freeze just single season? No 3 C graph that I’m aware of. The closest you get are maps that show ice thickness. I just came across a lecture from 1990 given by climate scientist Dr. Stephen Schneider explaining Global Warming. Just kills me that Climate Scientists are still fighting the battle to educate the public on CC…twenty seven years later. So much unnecessary lost time. They’ll never fully win so long as the media is so unregulated. Climate change denial statements need a warning label. It beggars belief that the people in Congress couldn’t even grasp the concept of a global average. off topic, but just adding to the weather anomalies count: yesterday, all the rain expected for April and a bit more fell dawn in 6h here in São Paulo. I was actually glad to see the rain at home, as we had an unusually dry March (no rain for almost 20 days… and March is supposed to be the grand end of raining season here), and I´m even more glad that I´ve negociated a home-office scheme, so I did not had to go to the city yesterday… as far as my colleagues said, the entrances of the building were all flooded. Thanks for the update, Umbrios. Is water security for the region mostly recovered — or still a bit touch and go? It’s mostly recovered (in São Paulo, Minas Gerais and Rio de Janeiro, the most populous states). The Cantareira system is at 95% of it’s limit, nearly full. There’s still drought in the Northeast region (specially in Ceará, Maranhão, Piauí, Paraíba, Pernambuco and Rio Grande do Norte), and critical reservoirs like Sobradinho, are using the “dead volume” of water. Water is being transported north by pipelines and trucks and thus far, the deadlier consequences of drought there have been avoided, though economic hits are severe. Reports of hundreds of icebergs in the North Atlantic when normally there might be only a few dozen have me wondering if this is the beginning of Heinrich event. None of the reports I’ve read even mention this possibility – they all seem to have a attitude about it as if it is a routine occurrence.